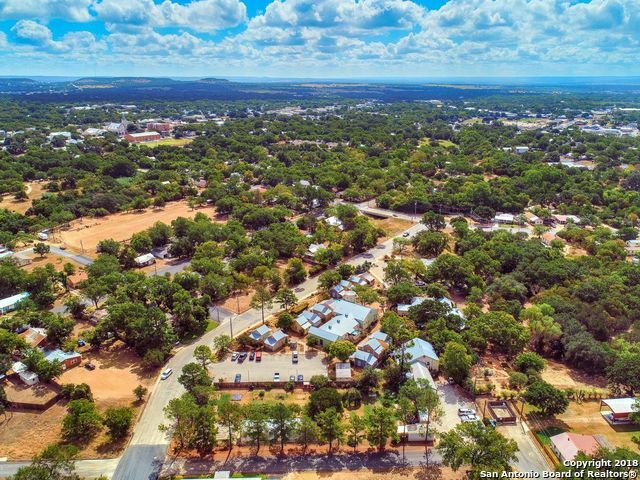 All Fredericksburg homes currently listed for sale in Fredericksburg as of 04/22/2019 are shown below. You can change the search criteria at any time by pressing the 'Change Search' button below. 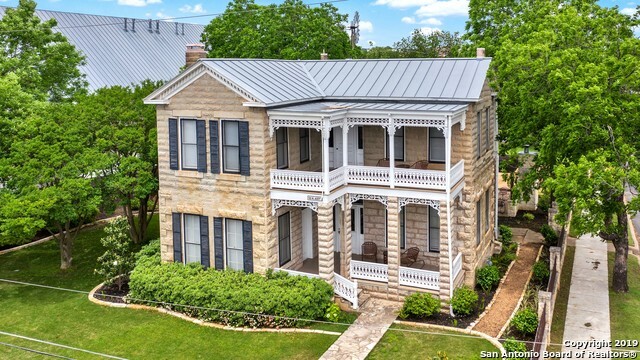 "Located in the Fredericksburg historic district, this renovated 19th-century home maintains its original flavor while evolving to modern, luxury living at its finest. Features: chef's kitchen, butler's pantry, whiskey/cigar bar, outdoor entertainment area with fireplace, 600-bottle wine cellar. Whether as a primary residence, vacation home, party venue or tasting room, this unique property is built for entertaining. SEE AGENT REMARKS RE: ADDL BEDROOMS." 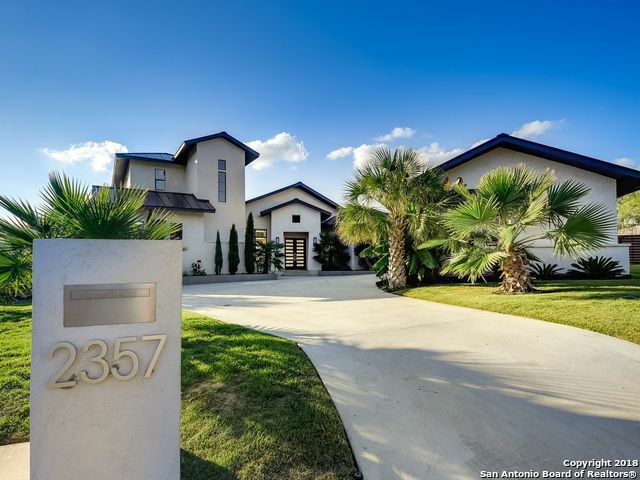 "Contemporary Custom Home w/ German & Italian elements throughout. A beautiful water feature in entry. While an impressive wall of windows & glass doors give incredible light, A beautiful marble wall in the living room highlights the stylish gas fireplace. Chef's dream kitchen includes all Miele appliances, custom cabinetry & large island. Master Suite & spa like master bath open to the back. Gameroom balcony & Two spacious en suite bedrooms. 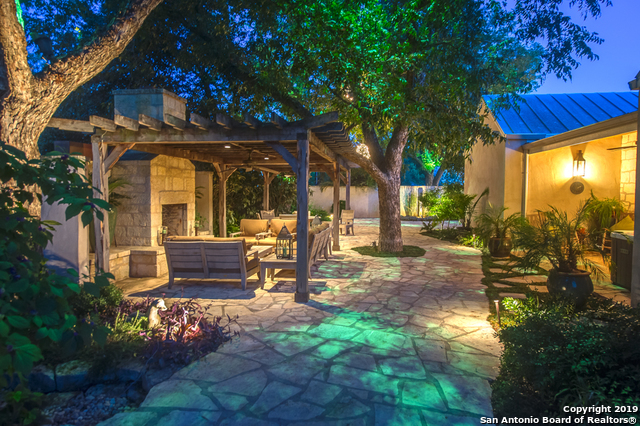 A Stunning pool, patio & lush landscape are an enterta"
"Rare Pedernales River property(+/-1000 feet river front). Beautiful park like setting with coastal fields, assorted trees and the river running the length of the property. Main home and guest home with swimming pool make this a perfect get away or primary residence. Large bedrooms with views of the lovely land and an enclosed porch that looks out over the river and the fantastic old oaks. Nice and private. Total tax shown is ag exempt. Gated." "GREAT INVESTMENT PROPERTY! 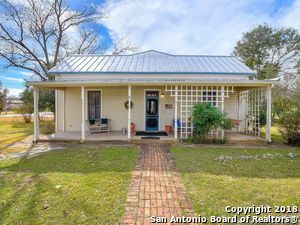 This charming 1930's farmhouse has 984 SF and located on historic Main Street in Fredericksburg TX. The Commercial (CBD) zoning, the location and the 50 ft. X 400 ft. lot make this Great Long-Term Investment Opportunity! Have your business in front and live in back, or zoning allows multi-family residential - so duplexes, B&Bs and more (with approval). The exterior is newly painted, foundation has been repaired and updated." "3D Virtual Walk-Thru! 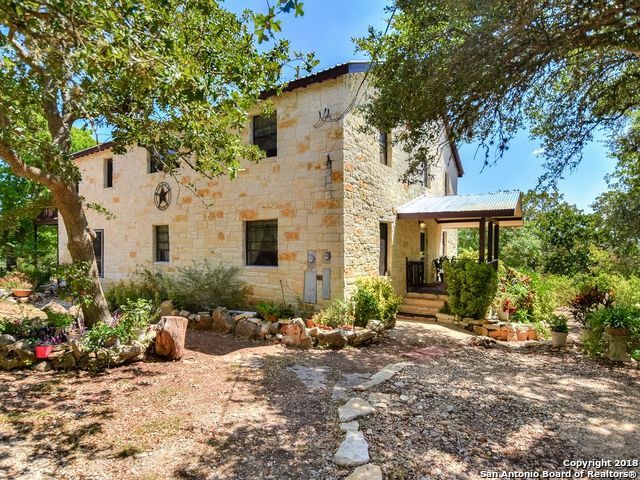 10 mins from town & nestled on just over 12.5 fenced acres, sits this exquisite Hill Country 4 bed / 3.5 bath home. Features include grand archways, high ceilings, stained concrete floors, granite countertops, stainless steel appliances, formal dining room, walk in closets & more! Master Suite provides sitting area, wood burning fireplace. Access to the over 500 sq ft back patio. Dual entry master bath (400 sq ft) w/ walk around glass & tiled shower., clawfoot tub & dual va"
"BIG vacation rental potential with C-2 AND R-2 zoning on a HUGE lot! See 3d Tour to appreciate the history and charm of this home. Just 1 block to Marktplatz and a 3 block stroll to the HEART of Main St. shops, tasting rooms and restaurants. 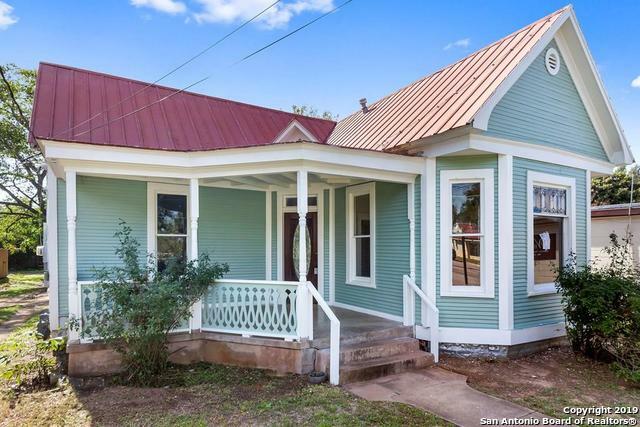 This 1936 charmer, the old Henke house, has been meticulously renovated but retains unique period details such as standing seam metal roof, oak + long leaf pine floors. Beautiful lawn offers outdoor fireplace, custom fire pit, sprinkler on well & new cedar s"
"Check out the 3D Virtual Walk-Thru! 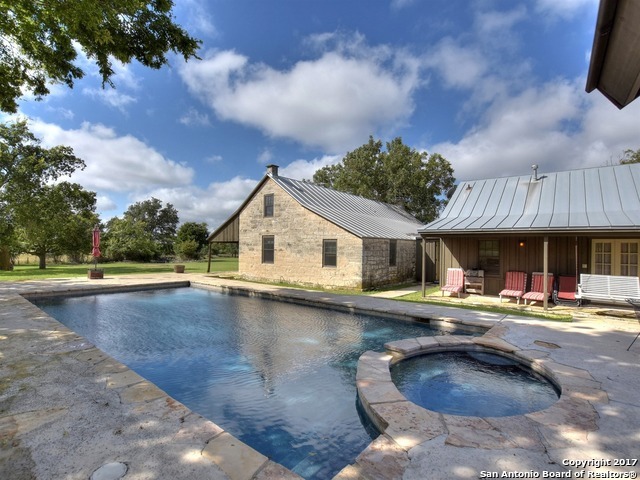 This traditional 3 BR 2 Bath Hill Country residence emphasizes its strong connection to the outdoors and embraces the character of the surrounding landscape. The wide spaces and French doors, along with the tall glass windows allow the house to be bathed in natural light and to ensure flow and circulation. Constructed from natural materials, their various shades of white, brown, and green blend harmoniously with the enticing hilltop vistas! 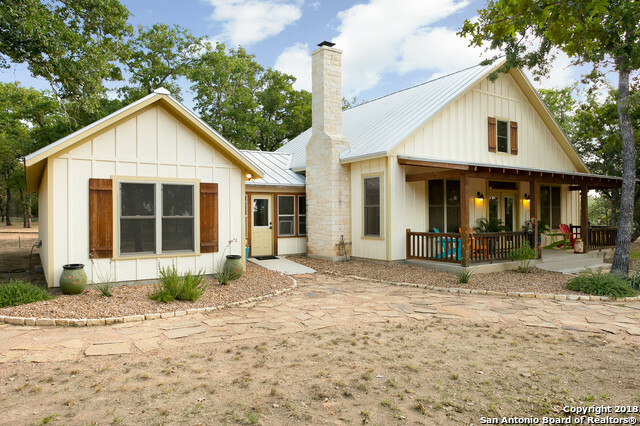 A home crafted with"
"This amazing Hill Country Oasis home nested in deep in Texas Hill Country offers 2 kitchen, 2 living areas, 4 bedrooms and 3 full baths. 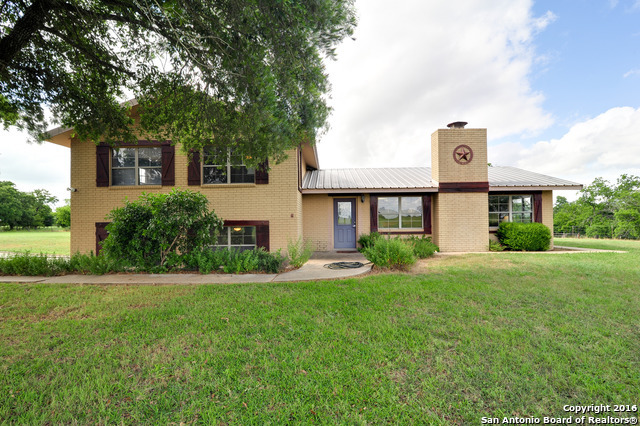 Located in Alamo Springs and only just a few miles to 290 winery row and minutes to Alamo Springs Cafe. 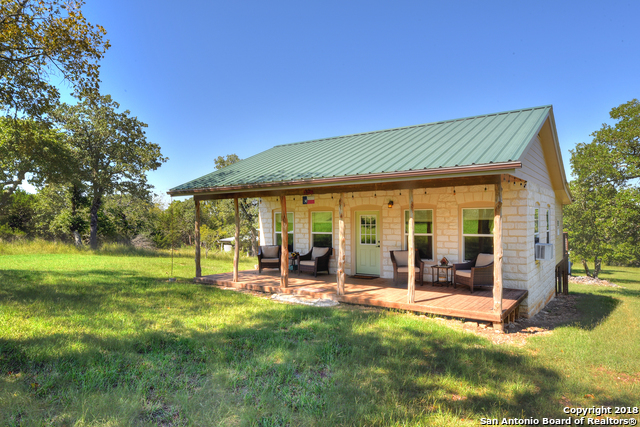 The home sits on 11 acres of amazing Hill Country land with views on the decks. Great potential as an investment or vacation rental property as well. 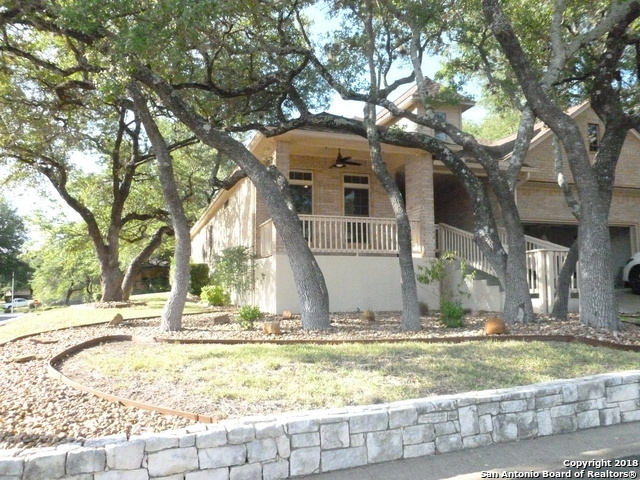 Come view this slice of Hill Country Paradise and make it yours!" 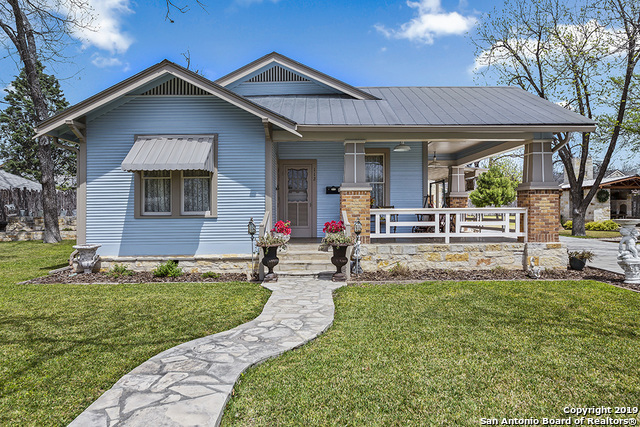 "This amazing one story historial style home built around 1933 is just blocks from Main St. Currently being used as a B&B. Offers 3 bed, 2 bath, open flopr plan & is situated on .50 acre in town. Screened porch, built-ins & hardwood floors throughout. High ceilings & refreshed kitchen makes for this home to be move in ready! Storage building & functioning water tower. Property offers tons of Old Fredericksburg charm! Come visit & see yourself living Fredericksburg style." "Hill Country Retreat! Fully Furnished House & Cabin. A beautiful 1bdrm Stone House, w/1 full Rest Room/shower, 2,500gal+500gal Rainwater Collection Systems. Lg Kitchen w/Quartz Counters, Custom Woodwork & Cabinets. Stainless Steel Appliances, incl. refrigerator. + Furnished Cabin w/a kitchen, Outdoor Out House, Shower House & Sink. Barn/Workshop, 10 acres, Horse friendly. RV Hook Up, Seasonal Spring at back of lot. (Outdoor furniture does not convey). Perfect as a B&B, a Great Retreat, or your D"
"Brand new neighborhood of beautiful well appointed homes built in the Hill Coubntry Style. Many options for the discerning buyer.... great homes for starting out, or downsizing from something larger. Zoned R-1A to accommodate sizeable homes but with smaller yard maintenance. 3 Bedroom 2 Bath, granite counters, office, appliance package, and privacy fence, and landscaping included in the package price. These homes are priced to sell.... Watch the construction process." "Heritage Hills Gated Community 55+ Living! Located in the hill country of Fredericksburg Texas! This single story 3 bedroom, 2 bath with open floor plan was built in 2000, approx. 2154. Newly updated kitchen counter tops, fresh paint throughout the home. Double hung windows for plenty of natural light, can also tilt inward for easy cleaning. 16x14 covered back porch, storage/workshop with electricity. The community offers a clubhouse, swimming pool, nature trails and more. Must see to apprec"
"Brand new neighborhood of beautiful well appointed homes built in the Hill Country Style. Many options for the discerning buyer.... great homes for starting out, or downsizing from something larger. Zoned R-1A to accommodate sizeable homes but with smaller yard maintenance. 3 Bedroom 2 Bath, granite counters, office, appliance package, and privacy fence, and landscaping included in the package price. These homes are priced to sell.... Watch the construction process."